The sync feature syncs your markers, reading plan progress, pins, and recently opened verses (history). Some of us has larger number of sync data, but they are only inside your phone. We have created a system that allows you to use and develop your sync data elsewhere. 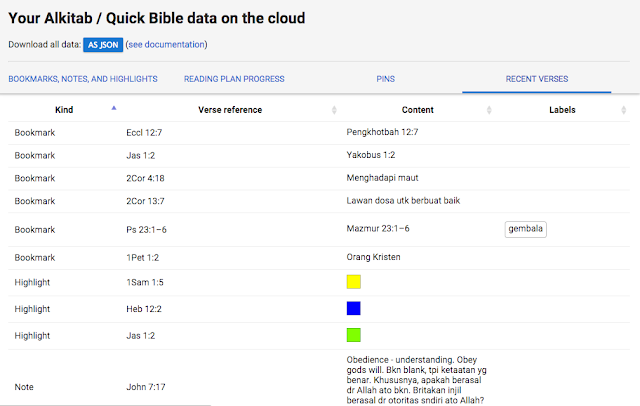 Go to www.bibleforandroid.com/cloud, login with your sync account, and you will see all your successfully synced data on the cloud inside your web browser. 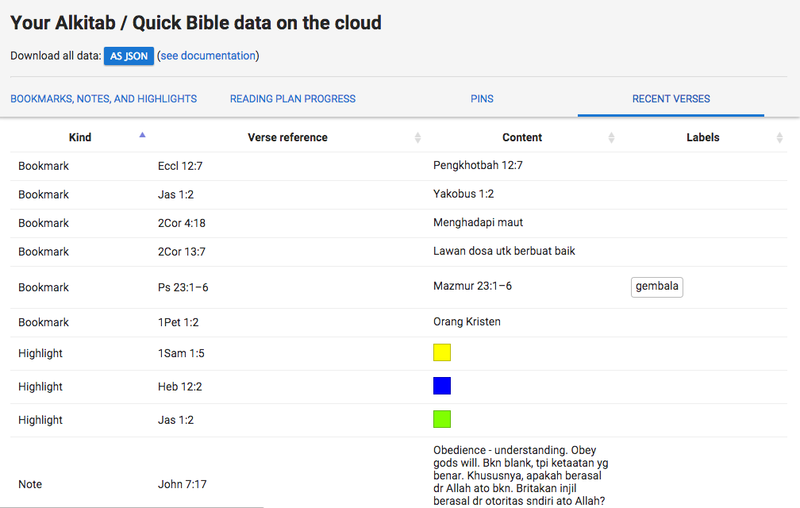 The tab "bookmarks, notes, and highlights", "Reading plan progress", "pins", or "recent verses" is used to switch between different view of which data to show. You can see or even copy the page for your own reference or download them all as JSON file, if you want to process them yourself. A little explanation for the reading plan progress tab. There are 3 columns: ID, starting date, and done. On the done column, you will see something like "Day 1: position 1 2 3". This shows which passage you have done reading according to the plan, on the day 1. You may have one or more passages to read everyday. On the day 7, only position 1 (Matt 19) has been read. Because on day 7, only position 1 (Matt 19) has been read, the done status on day 7 of Bible Plan Gospel is written as "Day 7: position 1". Hopefully this feature will be useful for you. 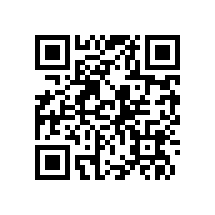 If you have any questions or suggestions, do not hesitate to leave comments or reach us at help@bibleforandroid.com. Fitur sinkronisasi dapat menyinkronkan data marka, progres rencana baca, jejak, dan history ayat. Beberapa dari kita memiliki data sync yang begitu banyak, namun data tersebut hanya tersedia di dalam HP mereka. Kami telah membuat suatu sistem supaya anda dapat menggunakan dan mengembangkan data sync data. Lihatlah ke halaman www.bibleforandroid.com/cloud, login menggunakan akun sync anda, dan anda akan melihat semua data sync yang sudah sukses disinkronkan di dalam tampilan web. Gunakan tab "bookmarks, notes, and highlights", "Reading plan progress", "pins", atau "recent verses" untuk melihat berbagai tampilan data yang sesuai. Anda bisa lihat dan bahkan copy isi halaman tersebut untuk bahan referensi anda atau mengunduhnya dalam bentuk file JSON jika anda ingin memproses data tersebut. Sedikit penjelasan untuk "reading plan progress". Ada kolom "ID", "starting date", dan "done". Di kolom "done", isinya contohnya: "Day 1: position 1 2 3". Ini menunjukkan bagian Alkitab mana yang sudah anda baca berdasarkan rencana baca anda, di hari pertama. Setiap hari mungkin ada lebih dari 1 pasal yang perlu dibaca. 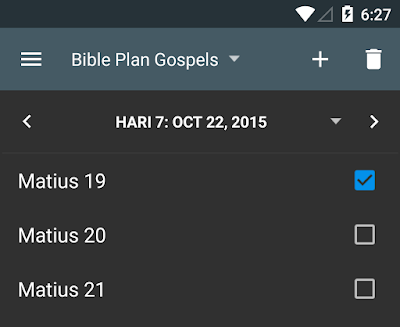 Jika pada hari ke-7 anda baru membaca Matius 19, maka status di kolom "done" untuk Bible Plan Gospel untuk Day 7 akan tertulis "Day 7: Position 1". Semoga fitur ini dapat bermanfaat bagi anda. 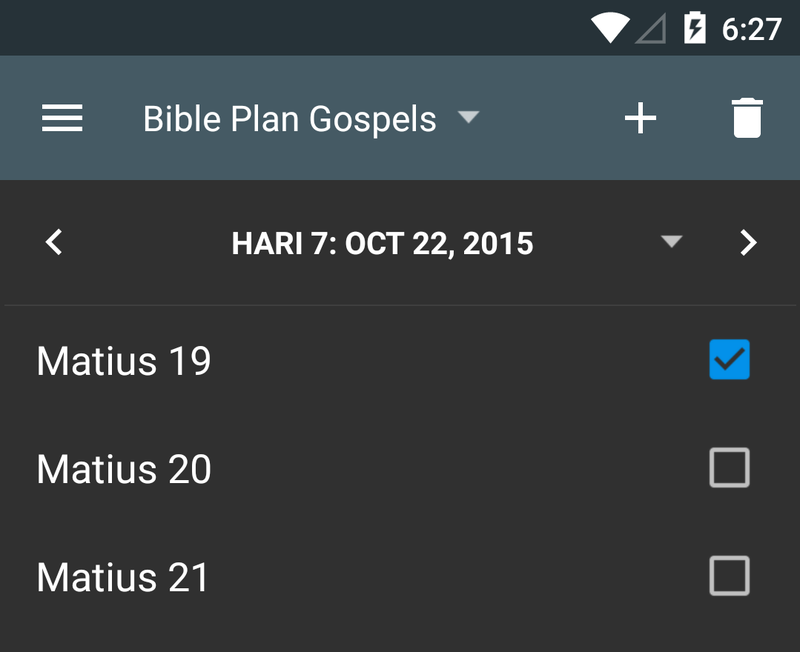 Jika anda memiliki pertanyaan atau saran, silakan memberikan komentar atau hubungi kami di help@bibleforandroid.com. This is a nice feature that I will use to evaluate and explore my bookmarks. Is there a way to export/import this data (or a subset thereof) into our devices or our account? The purpose would be for sharing a large number of verse bookmarks/notes with another who has similar interests. Thankyou for a good feature. I can use it. I guess what you meant is the search history, not the results themselves. I will add a way to clear search history, since for some people it is desirable to be able to clear it (I don't know why). Please follow the development at www.bibleforandroid.com/changelog and join the Beta version to get it faster and help with testing. Can anyone answer to the question asked by Carolos regarding the restoration of data from cloud to devise? Or tell as we have the JSON/converted to XML file, what is the procedure to restore the cloud data to my new devise? No, we do not have facility to import data en masse. You should use the Sync feature to restore data to your new device. In trying to sync it seems to stall saying "not synced yet. Is it possible to have too many markers that it can't handle the transfer from old version to my account do that I can then update?